HSV is something very special, and with the new Gen-F models available, HSV just keeps getting better! With big success in the Australian V8 Supercars, the HSV Commodore Gen-F production cars are very popular. Thundering performance, roomy practicality and leading-edge technology make driving the very quick HSV Gen-F models very satisfying. HSV Gen-F Clubsport sedans promise 317 kW of power and 550 Nm of torque. They have wide rubber sitting on 20-inch cast flow-form alloy wheels finished in silver to look super hot. Dual function daytime running lamps, a dial for driver preference in the car’s set-up, AP ventilated disc brakes with forged 4-piston callipers, a side blind zone alert system, an HSV performance suspension, remote start (automatic transmission only) and automatic Park Assist makes this a great way of buying into the exciting HSV range of vehicles. If you’re more inclined to head for the slightly peaky power of the HSV Gen-F Clubsport R8, then the 325 kW of power and 550 Nm of torque will sweep you off your feet. You can also opt for an enhanced 340 kW R8 SV option for even more! A nice set of 20-inch cast flow-form alloy wheels with a machined face and Gloss Black accents makes this look like one mean beast, however all the niceties are there, with dual function daytime running lamps, a driver preference dial, AP ventilated discs with forged 4-piston callipers, a Hi-Flow Intermediate with Bi-Modal mufflers, remote start (automatic transmission only), Head Up Display and forward collision alert to name a few of the great features on the Clubsport R8 Gen-F.
Like me, you may be one who wants to enjoy premium performance with optimum practicality, and the great looking HSV Gen-F R8 Tourer has nice station wagon lines with the long, raking roofline. A promise of 325 kW of power and 550 Nm of torque with an SV enhancement to grab 340 kW of power is an option. Sitting on 20-inch cast flow-form alloy wheels with a machined face and gloss black accents ensures you’re looking the “bee’s knees”. Dual function daytime running lamps, a driver preference dial, AP ventilated discs with forged 4-piston callipers, a Hi-Flow intermediate exhaust with Bi-modal mufflers, an HSV performance suspension, remote start (automatic transmission only), Head Up Display and forward collision alert completes a very rewarding drive. Utes are also available in the HSV line-up, with the HSV Gen-F Maloo boasting 317 kW of power and 550 Nm of torque. 20-inch cast flow-form alloy wheels finished in silver, dual function daytime running lamps, a driver preference dial, AP ventilated discs with forged 4-piston callipers, side blind zone alert, Automatic Park Assist, an HSV performance suspension and a soft tonneau cover look the goods. More ute power comes in the form of the HSV Gen-F Maloo R8 with 325 kW of power and 550 Nm of torque. The option to pump it up to 340 kW with an enhancement option is available. The ute sits on 20-inch cast flow-form alloy wheels with a machined face and gloss black accents. Dual function daytime running lamps, a driver preference dial, AP ventilated discs with forged 4-piston callipers, a Hi-Flow intermediate exhaust with bi-modal mufflers, an HSV performance suspension, and an HSV remote locking hard tonneau cover with a cool looking performance sail plane feature makes this, possibly, the sportiest ute on the planet. Head Up Display and forward collision alert are also standard features. Hotting things right up is the awesomely powerful HSV Gen-F GTS, boasting a 6.2-litre, supercharged LSA engine with a class leading 430 kW of power and 740 Nm of torque. A nice set of 20-inch x 8.5-inch (front) and 20-inch x 9.5-inch (rear) “Blade” forged alloy wheels in satin graphite make for awesome looks. Dual function daytime running lamps, a torque vectoring system, a driver preference dial, AP cross-drilled disc brakes with forged 6-piston front callipers and 2 piece front and rear rotors, and an HSV Generation 3 Magnetic ride control suspension completes the ultimate performance package. My favourite, the HSV Gen-F Senator Signature packs 340 kW and 570 Nm. You look really good on 20-inch luxury forged wheels in dark stainless. Dual function daytime running lamps, a driver preference dial, AP ventilated discs with forged 4-piston callipers, the premium HSV Generation 3 Magnetic ride control suspension, a premium BOSE audio system with 9 speakers, remote start (automatic transmission only), Head Up Display and forward collision alert are just some of the premium features on the Senator model. Top of the luxury tree for HSV sits the HSV Gen-F Grange that boasts 340 kW of power and 570 Nm of torque. 20-inch luxury forged wheels in dark stainless, daytime running lamps, a driver preference dial, AP ventilated disc brakes with forged 4-piston callipers, the HSV Generation 3 Magnetic ride control suspension, a premium BOSE audio with 9 speakers, remote start, Head Up Display and forward collision alert all add up to making the Grange a super sports sedan with elegance to match. All HSV Gen-F models have all the very latest five-star safety features, and driver excitement is guaranteed! 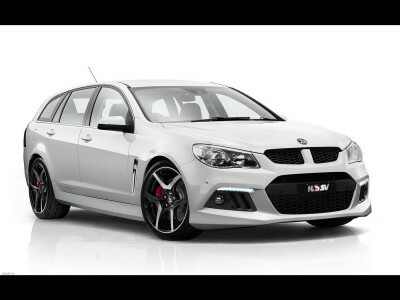 For any more information on the Gen-F HSV models or, for that matter, any other new car, contact one of our friendly consultants on 1300 303 181. If you’d like some fleet discount pricing (yes even for private buyers! ), we can submit vehicle quote requests out to our national network of HSV dealers and come back with pricing within 24 hours. Private Fleet – car buying made easy!